Today over on ESPN, Jackie MacMullan has the first of what promises to be a multi-part series on mental health in the NBA. While it’s mostly a profile of Kevin Love, who shared his experiences with panic attacks earlier this year, it also features insights from Paul Pierce and Chris Bosh on their own mental health struggles. Pierce, specifically, talks about how he battled depression throughout the 2000-01 season after he was stabbed 11 times and had to be rushed to surgery to repair a collapsed lung. Pierce played every game in the season that began a month later, but in the ESPN piece, he talks about how deeply the trauma affected him that year, to the point where he hired a 24-hour police detail to stay outside his home. 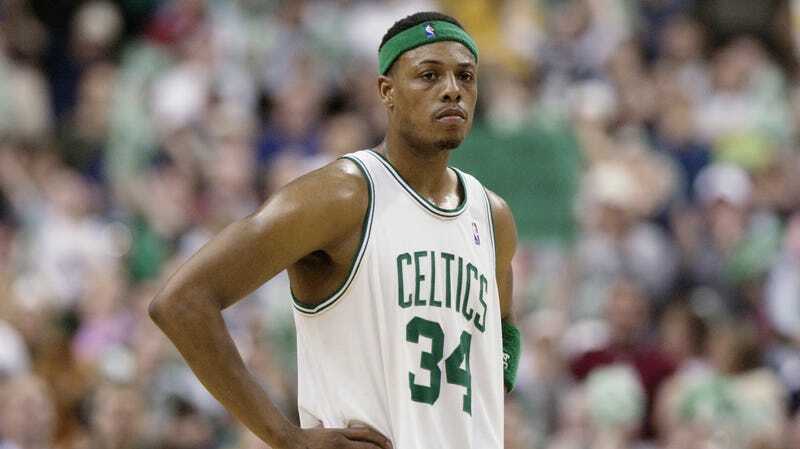 Pierce also mentions that he had a panic attack while greeting fans at the turnstiles as part of a promotion for the Celtics’ season opener, and, perhaps most terrifyingly, says his situation worsened after he got a death threat while eating at a restaurant. Pierce put up great numbers during an otherwise poor season for the Celtics, but says he felt more isolated as he tried to handle his mental heath issues on his own. He says he only improved once he started talking to a family member. Pierce’s honesty—along with the experiences shared by Bosh and Love—continues a small but important trend of NBA players opening up about their mental health. While there may still be a lack of institutional support from these players’ teams—and MacMullan notes vaguely and alarmingly that “some NBA owners” want access to players’ mental health records—it remains extremely good that some of the people perceived as most masculine in our society are fighting back against the stigma of talking about mental health struggles.